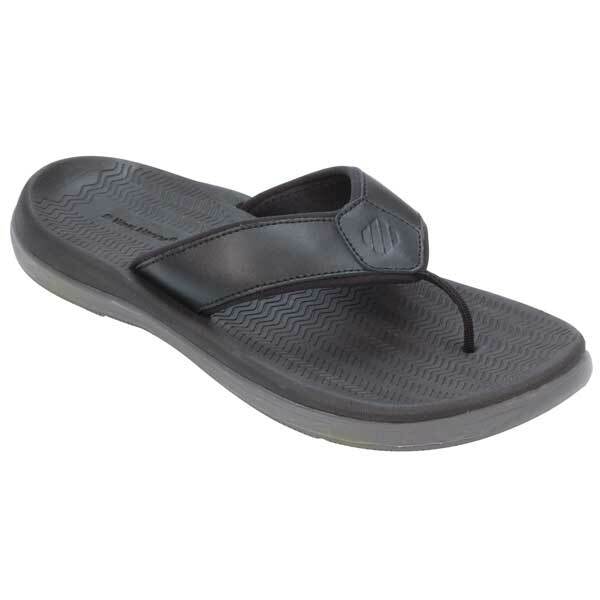 Giving you the performance of a boat shoe, these soon-to-be-classics feature stain- and water-resistant leather straps, plus drainage channels in the heel and mid-foot area that funnel water from the footbed out through the soles so your feet are held more securely while maintaining the barefoot freedom of a flip-flop. Dual density, non-marking outsoles with siping and deep water channels improve grip on wet surfaces in rapidly changing conditions. Imported.